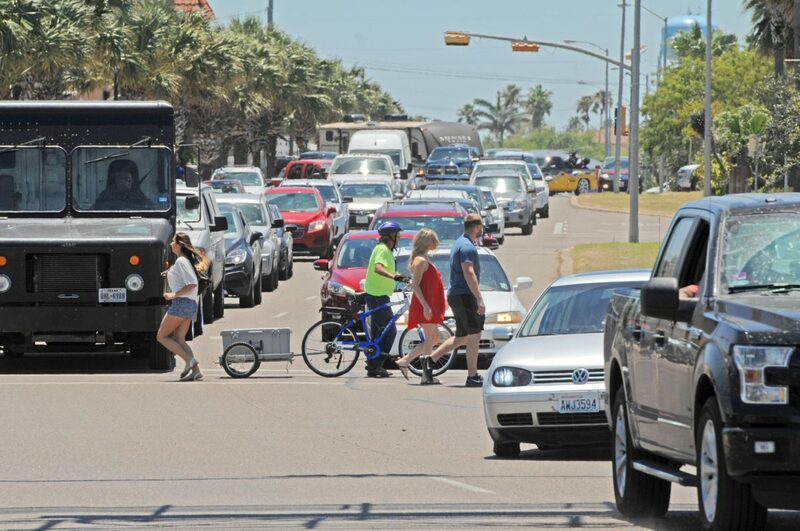 Heavy traffic is seen in Port Isabel after the Queen Isabella Memorial Causeway was shut down Friday afternoon after a phone call to the Port Isabel Police Department received a threatning call to cause harm to the causeway. 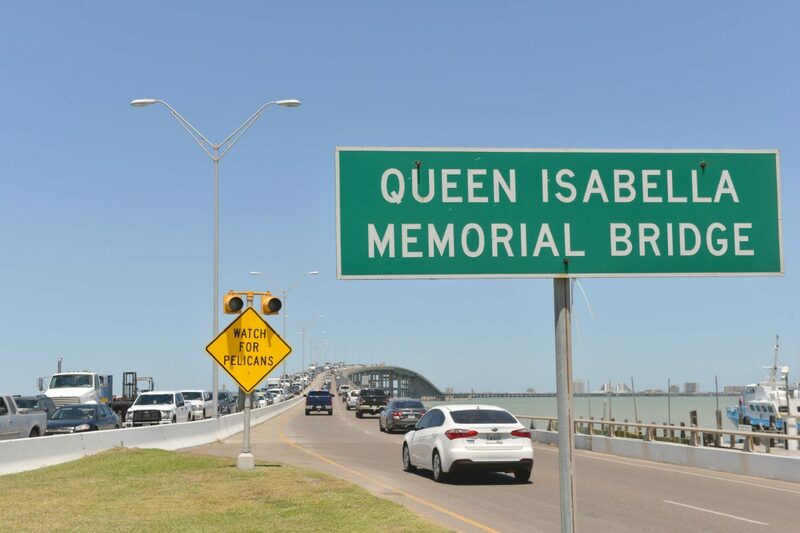 PORT ISABEL — Police blocked the entrance on both sides of the Queen Isabella Memorial Bridge on Friday. Hundreds of cars were turned away from the bridge while authorities investigated a potential threat to the structure of the causeway. Authorities closed the bridge at 11:52 a.m. after a threatening phone call came in through South Padre Island’s 9-1-1 phone system. Heavy traffic accumlates once again on the Queen Isabella Memorial Causeway Friday afternoon after being shut down due to a phone call to the Port Isabel Police Department threatning to cause harm to the causeway. According to one report, the call came from a Harlingen number and the caller indicated the causeway could collapse. The bridge was reopened more than two hours later. Texas Rangers and Harlingen police continue to investigate the threat. Sandoval said the people who really wanted to get on the Island started parking and waited around town until the bridge was safe to cross. A block away from the main entrance of the causeway police were directing traffic away from the bridge, causing many drivers to find a place to wait. Hundreds of people waiting to get to the Island stood outside on street corners with a look of concern. Pirates Landing and Pelican Station’s decks overlooking the bay were packed with people looking at the empty bridge. Delilah Contreras and her family waited next to the Lighthouse sitting on beach chairs along the sidewalk. But once she noticed police were going to reopen the bridge, she began to organize her family back into their truck so they could go to the beach as planned. By 1:30 p.m. TxDOT had reported the bridge would reopen in an hour. Police did not reopen the bridge until 2:15 p.m. after an inspection of the causeway was completed by the Texas Department of Public Safety and the U.S. Coast Guard. TxDOT inspected the underbelly of the bridge as a precautionary measure, leaving hundreds of people stuck on both sides of the bridge. Once authorities found there was no indication of visual or structural damage to the bridge, and the collapse detection system had not alerted investigators of any issues to the bridge, police reopened it.